When most of us think of ‘80s films, an onslaught of teenage blockbusters comes to mind from The Breakfast Club to Ferris Bueller’s Day Off. John Hughes movies abounded throughout the decade and even into the ‘90s with the Home Home Alone series of films. If you weren’t busting out of brat pack puberty, then you were watching Marty and Doc go Back to the Future or maybe even breathlessly awaiting the next Star Wars release. If you grew up in the ‘80s, you might also have asked yourself the question “what movies did my parents enjoy watching?” The decade of Ghostbusters and Indiana Jones also brought some great films for the over 40 crowd as well. From the gangsters in The Untouchables to the gamblers in Color of Money, Hollywood did not disappoint those who wanted a little more depth in their entertainment. Casinos were often a backdrop for these types of films and here are a few of our favorite moments when movie stars bet big. 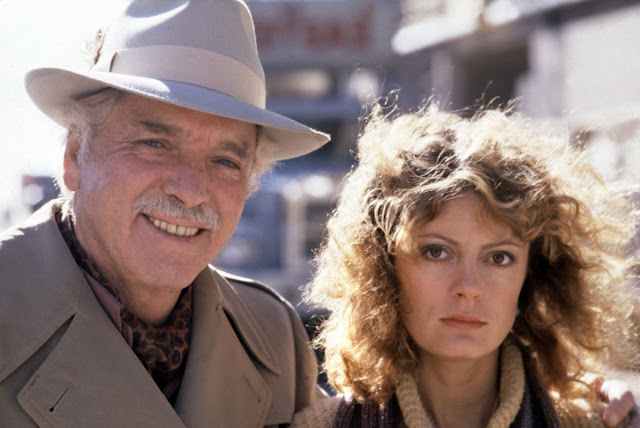 In 1980, when The Empire Strikes Back cast a long shadow on most other releases, Louis Malle (Pretty Baby and Lacombe, Lucien) directed one of the most romantic and dark casino movies of the decade, titled Atlantic City. The film stars Burt Lancaster as Lou, an older washed up mob hit-man who actually never was. Opposite Lancaster is a young Susan Sarandon who plays Sally, a lovely level-headed young woman whose life goal is to become the first female croupier in Monte Carlo. She has a long way to go from working manual labor in a seafood bar by day and learning the tricks and trades of a casino employee at night. The two share a brief and sweet love affair amidst the turmoil of the other rich characters of the film. Hollis McLaren (Chrissie) and Robert Joy (Dave) play the pregnant younger sister and Sally’s husband who ran off with her. The film’s backdrop of Atlantic City is shown as dark and gaudy with the classy hotels condemned for destruction to make way for bigger, louder and now legal casino hotels. The haunted nature of the film makes it one not worth missing. Watch it instantly for free on Amazon Prime Instant Video. 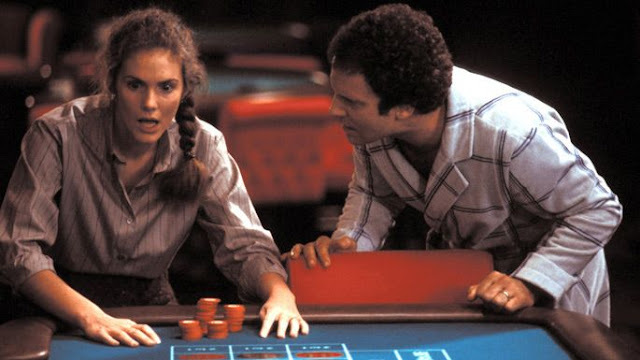 In 1985, Albert Brooks brought a slightly more lighthearted atmosphere to a casino. Lost in America is the epitome of Brooks’ sense of humor with his combination of fast-talking backhanded insults and comedic hopelessness. In this film, which he both starred in and directed, Brooks plays a narcissistic advertising executive who quits his job when insulted by a lateral transfer within his company instead of earning an expected promotion. He convinces his wife (Julie Hagerty) to quit her job as well so they can cash in their entire life savings on a Winnebago and roam the country for the rest of their lives. Seems like a great adventure, right? It is, until his wife bets their entire nest egg on one spin of the roulette wheel at their first stop in Las Vegas. Interestingly, she bets it all on the number 22 – which draws an interesting parallel to the roulette scene in Casablanca where they win big on the same number. Unfortunately for Hagerty’s character, she isn’t as lucky as the roulette player at Rick's Café Américain. Brooks is at his self deprecating best as he attempts to talk the casino manager (Garry Marshall) into giving him his money back with his “professional” opinions about improving the casino. Of course, this doesn’t work, which leads to a brief period of “poverty” in Arizona followed by a trip back to New York where he begs for his old job back. The plot of the movie does not hold as much as the sheer brilliance of Brooks’ hilarious way of speaking either under his breath or in circles around another person. He is a true pleasure to watch. 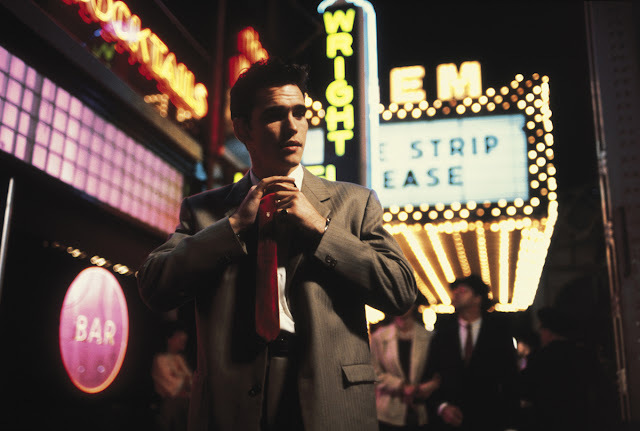 In 1987, Matt Dillon and Diane Lane hit the big screen under the casino lights together in The Big Town. While the storyline is one we’ve seen time and time again in the best gambling movies, the cast makes it so much more worth watching. Matt Dillon electrifies the screen as J. C. Cullen, an Iowa farm boy turned professional craps player in Chicago who falls in love and must make a choice. He has to choose between the unwed young mother with a heart of gold, played by Suzy Amis, or the embittered ex-stripper out for revenge, played by Diane Lane. Tommy Lee Jones looks tough and sleazy as Lane’s husband along with Bruce Dern and Lee Grant who round out the superb cast as Mr. and Mrs. Edwards, Dillon’s employers. Memorable scenes show Matt Dillon going on many exciting winning streaks at the craps tables. 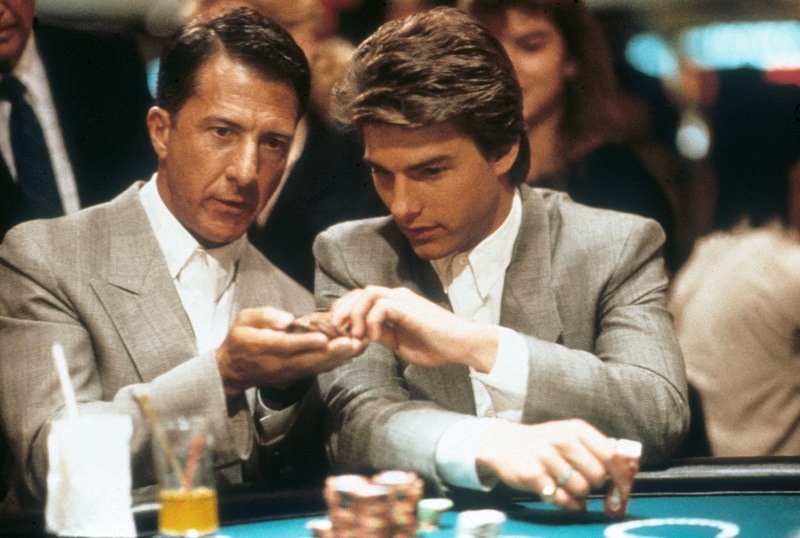 Finally, no 1980s casino movie list would be complete without the memorable scene of Tom Cruise and Dustin Hoffman in their handsome matching suits on the casino floor in the Academy Award winning film, Rainman. One of the most touching films of the 80s, Rainman follows two brothers who have only just met, during a road trip across the country. The brothers, played by Cruise and Hoffman, learn their father has passed away and left the bulk of his fortune to the institution housing of Raymond Babbit, an autistic savant played by Hoffman. No one survived the ‘80s without shedding a tear as Charlie Babbit learns about and experiences his autistic brother while trying to figure out how to use the money for his own debts and learning much more about himself. The scenes of Hoffman and Cruise winning at the card tables were riveting. It’s their winnings that get Cruise out of debt and their time in Las Vegas that brings him back to love with his girlfriend. Find it now on Netflix. Whether it was teen hits, blockbuster action movies, or adult casino films, the ‘80s simply had something for everyone.